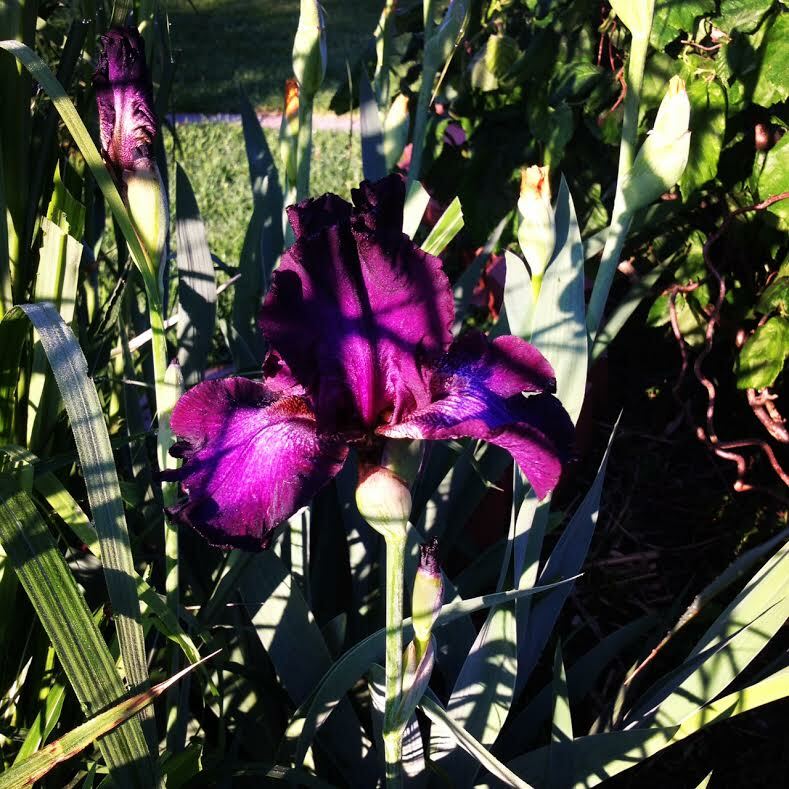 Here is the darker purple iris that is blooming in the back yard. It’s only has 3 blooms so far. It’s also deep in one of the beds so it’s hard to get a good picture of it, especially with an iPhone.